Home » Listings » Royal Palm 2325 SOLD! 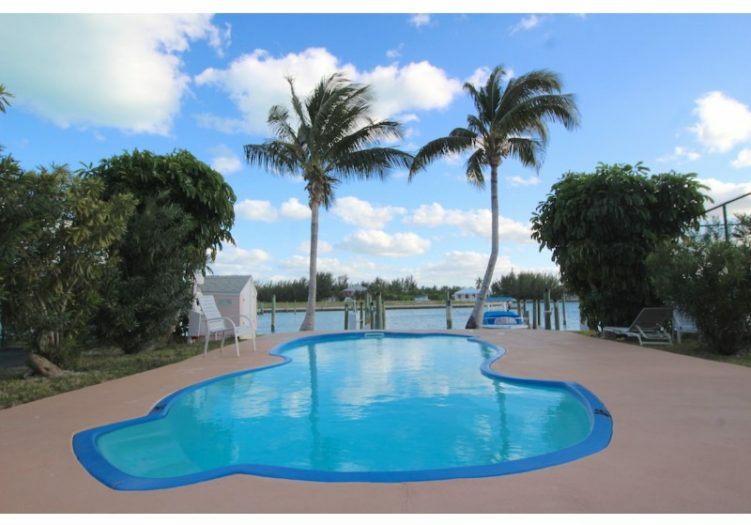 Surrounded by water views, this 2 bedroom 2 bath condominium offers a serene and sophisticated space within the Royal Palm Condominium complex at the prestigious resort community of Treasure Cay, Abaco Bahamas. 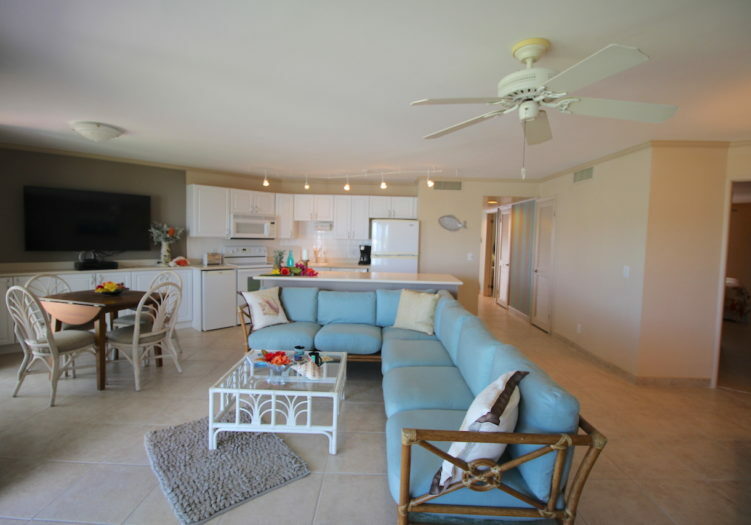 Painted in neutral taupe tones and teal accents, this 1,000 square feet of easy living space offers a popular open living concept floorplan with views of the world class Treasure Cay Marina from the living room, dining area and kitchen space. Furnished with a stylish sectional in seamist green and an additional comfortable side chair in beige, the living space features marina views through a bank of sliding glass doors. A round wooden dining table with 4 chairs sets the stage for entertaining. 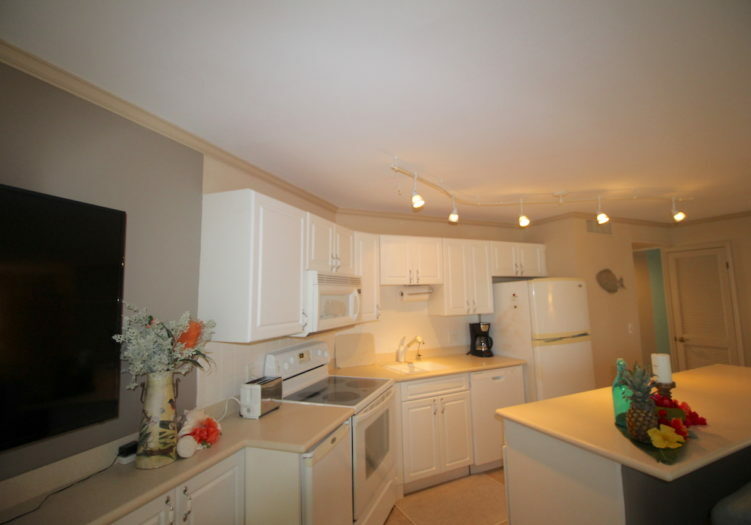 A modern light and bright kitchen makes food preparation delightful. Major Whirlpool appliances in white, along with complete sets of dishes, cutlery, glass ware and pots and pans are provided. Designer white cabinetry topped with beige and white patterned solid surface countertops wrap around and offer additional storage in the dining area. A large HDTV hangs on the wall for all to view. 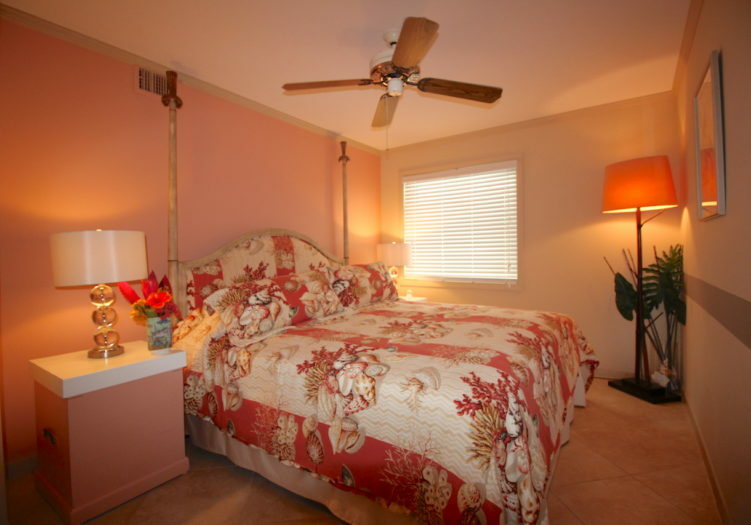 Find rest in the master suite, which is furnished with an attractive king size bed dressed in a luxurious coral colored shell pattern bedding, and completed with bed side tables and lamps. The en-suite bath provides a newly upgraded large step in ceramic tiled shower. Relax in the guest quarters, a welcoming room decorated in a cool palette of whites and beiges with wicker furniture and double closets. Rich burlap colored lined drapes frame the windows and help to create a peaceful ambiance. 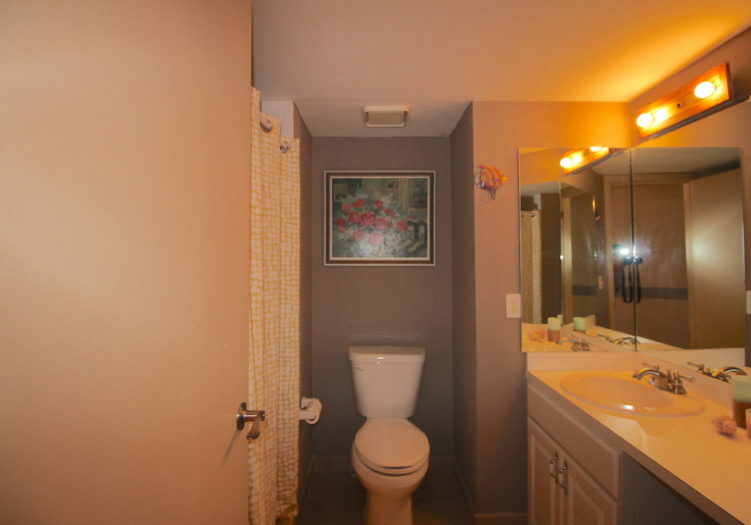 The guest bath offers a shower and additionally a laundry area with stackable washer and dryer. Attractive bronzed beige ceramic tile throughout and ceiling fans in every room add to the design and functionality of relaxed living. 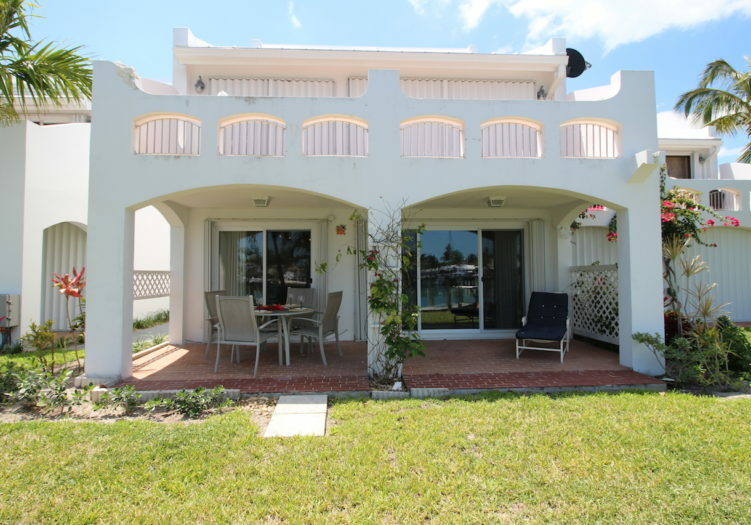 Panoramic views of the harbour are enjoyed from the outside covered patio. 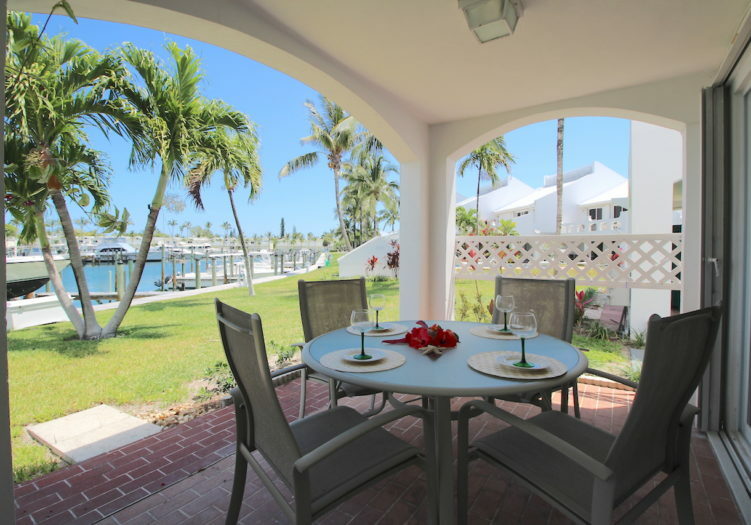 Enjoy a drink or meal, entertain under the stars or find a personal spot to relax and “boat watch”. Tropical flowers and trees create a privacy hedge and enhance the views. A private 12 ft. wide boat slip, accommodating up to a 35 ft. boat is just outside. Also included is an on-site storage locker to be used for bicycles, sports equipment, boat accessories or beach needs. 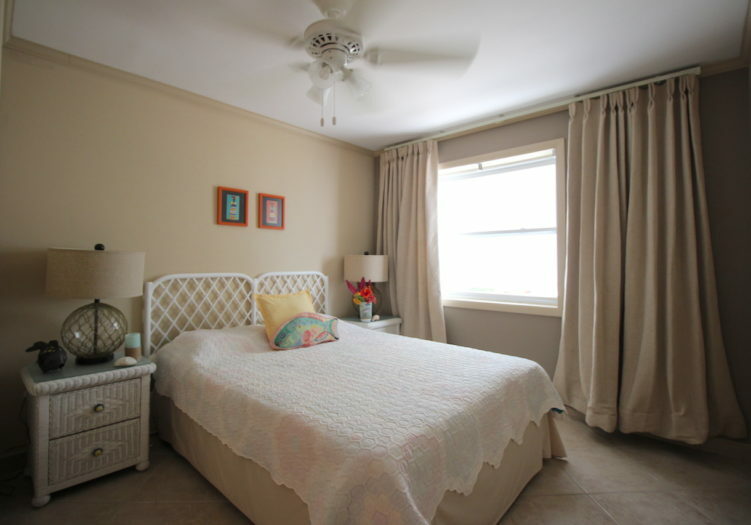 Accordian hurricane shutters are provided across the waterfront sliding doors and Bahamian style shutters are on the bedroom windows. The Royal Palm community amenities include lush and attractively landscaped grounds with four fresh water swimming pools, two on site tennis courts an on-site property manager. 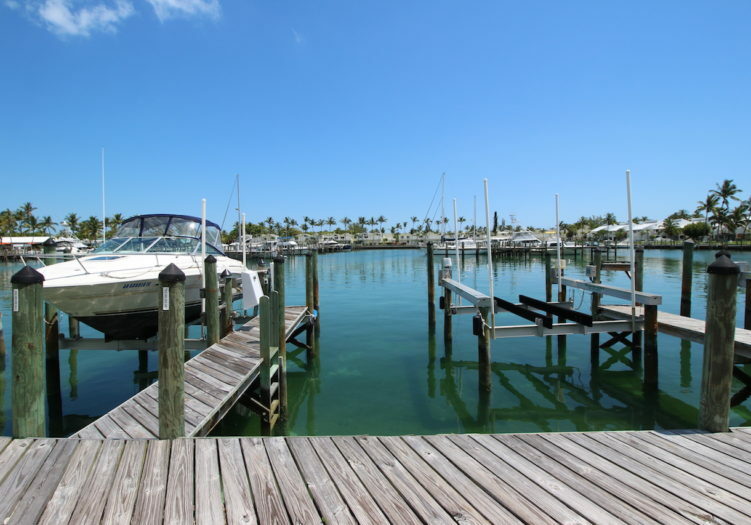 Only a short walk to the village of Treasure Cay where shops, restaurants, a full service marina with boat rentals, fishing, snorkeling and eco-tours await. Car, golf cart and bicycle rentals along with a modern medical clinic, library and church are also available. Treasure Cay offers 3 1/2 miles of powder white sandy beaches framed by the sparkling blue waters of the Sea of Abaco. 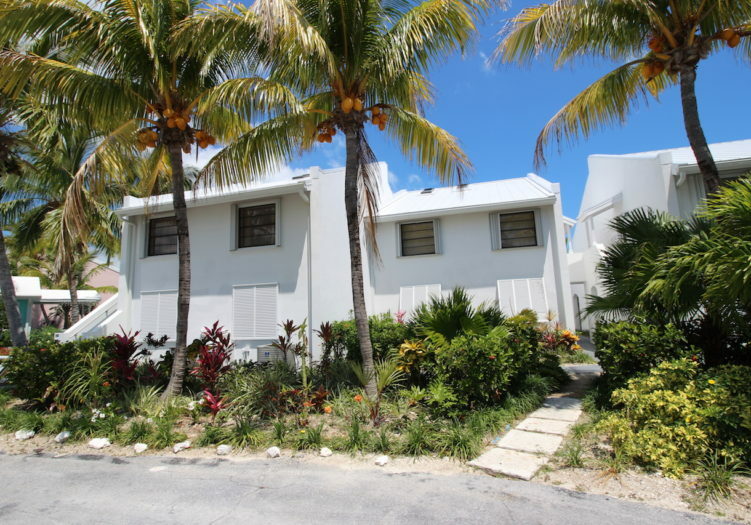 An 18 hole championship golf course is within the gated community of Treasure Cay. 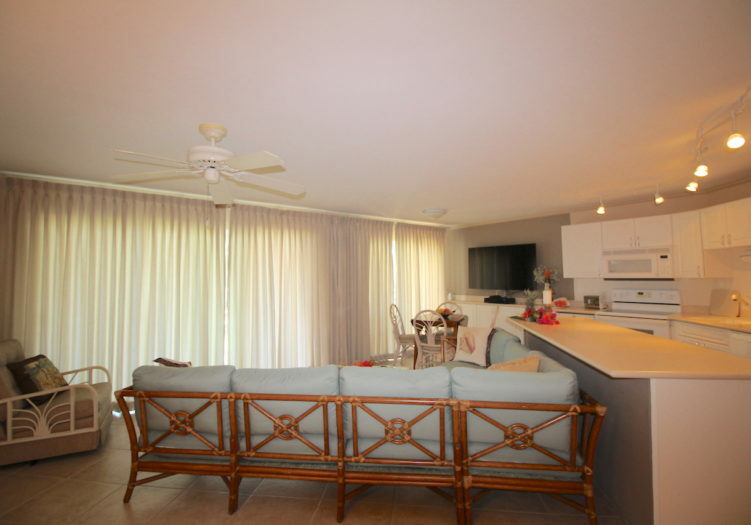 Royal Palm 2325 offers an exceptional opportunity for a vacation getaway, part time residence or investment property. 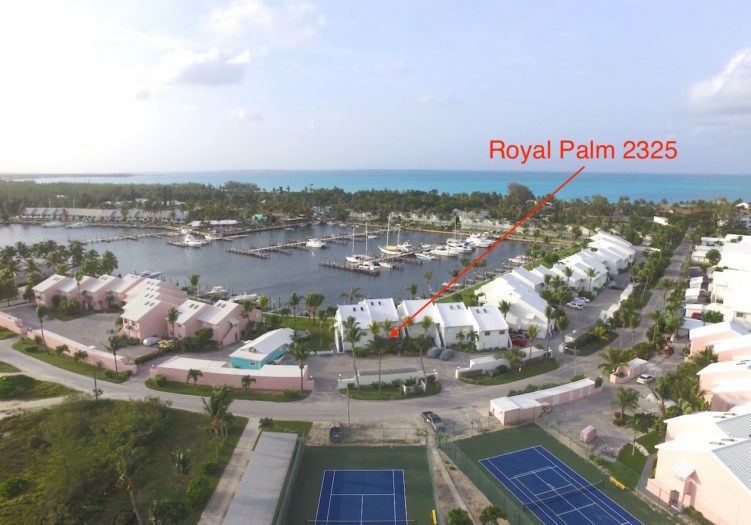 Seize the dream of waterfront living with the purchase of Royal Palm 2325!